Wallauer is here to offer you a premier option of the best wall coverings that you could choose for your home. 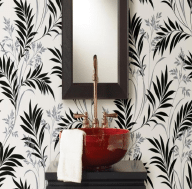 Offering full lines of wallpaper from the top designer collections, Wallauer is sure to help you find the right option for your Westchester, Putnam, and Rockland County home. Did you know that you had so many choices for wall covering? Be sure to explore them all so that you can find the right option for your preference and home. Here are the wall covering options that you could choose when you visit Wallauer. When you decide to choose from wall covering options for your home, the last thing you want to do is settle for something second rate. That is why Wallauer is your premier provider of the top designer brands of wall coverings that will be durable and beautiful in your Westchester, Putnam, and Rockland County home. You will be able to choose from the designs of Ralph Lauren, Colefax & Fowler, Schumacher, Cowtan & Tout, Seabrook, Jane Churchill, Stroheim & Romann, Nina Campbell, Thibaut, Jaima Brown, York Wall Covering, Osborne & Little, Zoffany, Brewster, and Warner. As you can see, all the top designer lines of wall coverings are available for your selection at Wallauer. No matter the wall covering that you want to choose for your Westchester, Putnam, and Rockland County home, then Wallauer has everything you need to offer. Be sure to stop in and view all of the designs and the designers that you could choose. This way, you can make the right decision for your home. No matter the style of the home or the room that you are redecorating, you will not have to worry about making the right choice when you visit Wallauer. In Westchester, Putnam, and Rockland County, you will not find another better supplier of wall covering. This way, you can have the home style you have always wanted. When you choose Ralph Lauren wall covering, you will find that you have plenty of choices for modern yet classic styles that will provide a designer look for any room. 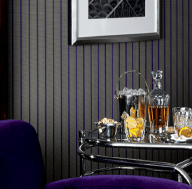 Wallauer is your premier provider for Ralph Lauren Wall Coverings in Westchester, Putnam, and Rockland, NY so that you can easily choose the right option for you. Ralph Lauren offers wall coverings through many different categories, including floral and stripe patterns, plaid and paisley patterns, damask, textured designs, toile, and checkered designs. Ralph Lauren even offers numerous children’s styles so that you can choose the right option for any nursery or child’s room. 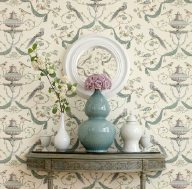 Colefax & Fowler Wall Coverings in Westchester, Putnam, and Rockland, NY offers numerous collections that provide a classic English style. You will be able to choose items that look less like wall coverings and more like works of art. These designs can include everything from patterns to textures. The collections at Colefax & Fowler allow you to combine the right styles so that you can have the complete room. Collections include Marchwood, an English cottage look; Veryan, a classic Victorian style and Pavilion Tree, which includes a rich, classic look. Schumacher Wall Coverings in Westchester, Putnam, and Rockland, NY offers an archive that is beyond compare, offering more options than any other in the same industry. In the recent few years, Schumacher has done even more to provide a wider variety of archives by acquiring such brands as Greeff and Decorators Walk. By including the designs of those brands in with the options from the Schumacher core collection, there is a comprehensive selection available and they can all be found by visiting the Wallauer Design Center. Cowtan & Tout offers a series of wall coverings referred to as signature styles. They include a selection of stripes, patterns, and textures. All of the designs include different motifs to suit your personal style. You may wish to choose whimsical patterns, large patterns for a classic and elegant style or even rich solids to create a modern look. Whether you are looking to redesign your whole space or you need to choose something that will compliment your existing décor, then you will find the right options with texture and patterns from the Cowtan & Trout signature collection. 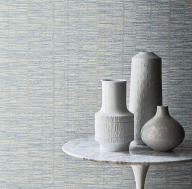 In production since 1910, Seabrook offers more than a century’s worth of experience in providing the best wall covering options in the design world. One thing that Seabrook has continued to excel at would be to understand how each customer has different interests and different tastes in what they prefer for their home. Stroheim has been in the business of providing top quality wall coverings for almost 150 years. During that time, this company has perfected the ability to offer fine quality materials and textiles for both wall coverings and trim. When Stroheim was established by Julius Stroheim in 1865, the company quickly became an industry icon. As one of the most well known, established and respected names in the wall coverings industry, Stroheim has a great deal to offer the design world. 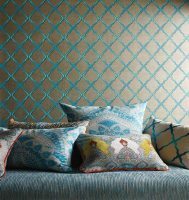 Nina Campbell has been designing wall coverings in luxury style for 21 years. That means the company has been producing top of the line options for more than two decades. 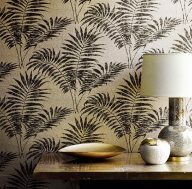 You will find that you can choose from collections of luxury wall papers dating all the way through the history of the Nina Campbell designs. You will not be limited to just the newest collections. 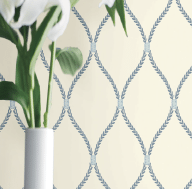 Thibaut has long been known for combining a classic feel that comes along with a color palette that is fresh and new. The company offers a whole wide range of styles, which including toile, tropical, novelty, and even historic reproductions. 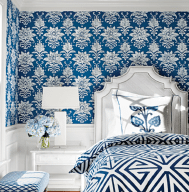 The designers at Thibaut make it their job to be aware of the constant changing trends and they represent this in their collections. The wall coverings offered by Jaima Brown in Westchester, Putnam, and Rockland County, NY are anything but boring. These wallpapers include colors, designs and styles that are unique and fun. You will find that Jaima Brown offers a combination of textures, styles and colors that are drawn from the world wide travels of the designer. From antique to modern, you will find that Jaima Brown offers wall papers that you will enjoy for your Westchester, Putnam, and Rockland County, NY home. Wallauer’s offers all of these styles and designs so that you could easily choose them for your home. York has been producing fine quality wall coverings since 1895 from the same original location: Susquehanna Valley in Pennsylvania. This company is one of the largest as well as one of the oldest manufacturers of this type in the United States. 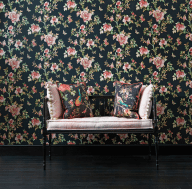 Osborne & Little has a reputation, and that reputation is for wall paper designs that are modern, classic and innovative. 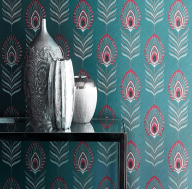 You will find that these British wall paper designs offer something that is sure to provide the right look for any home. If you live inWestchester, Putnam, and Rockland County, NY, then you will find that Wallauer can help you choose from any of these designs to suit your own home look. 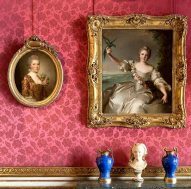 Zoffany has been around for many years, but these elegant wall papers were not always available to the public. Instead, the company got its start as a historic design company that provided these wall coverings on commission to private purchasers. 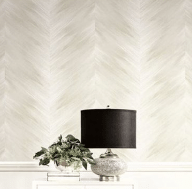 Now, the company has opened its doors and you can choose the Zoffany wall coverings for your own Westchester, Putnam, and Rockland County, NY home. Now, the collections are still based on historic looks, but many of them have been updated to include touches of the contemporary so that you can blend history with modern in your home. 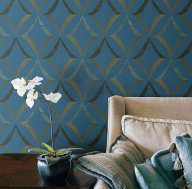 As a manufacturer of fine wallpapers and home décor since 1954, Brewster has become well known for their products in both the commercial and residential world. In addition to being one of the oldest home fashions companies, Brewster is one of the oldest independent, family owned companies in the United States. In fact, the company is owned by the fifth generation family member at this time. Did you think that the most elegant of wall coverings were only available to those with upper scale homes? You will find that you have options for you own home that can take your style from boring to elegant in a matter of moments. All you have to do is consider the possibilities of Warner wall papers. You will find that Warner offers designer style from classic to modern to suit your own home décor and your own preferences. Warner offers several lines of collections that you could choose for your home.